One of the responsibilities of the Technical Coordinator in the Ohio Section is to submit something for the Section Journal. The Section Journal covers Amateur Radio related things happening in and around the ARRL Ohio Section. 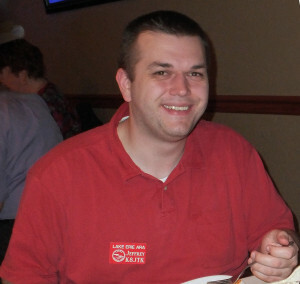 It is published by the Section Manager Scott – N8SY and articles are submitted by cabinet members. Once my article is published in the Journal, I will also make it available on my site with a link to the published edition. You can receive the Journal and other Ohio Section news by joining the mailing list Scott has setup. You do not need to be a member of the ARRL, Ohio Section, or even a ham to join the mailing list. Please sign up! If you are an ARRL member and reside in the Ohio Section, update your mailing preferences to receive Ohio Section news in your inbox. Those residing outside the section will need to use the mailing list link above. Updating your ARRL profile will deliver news from the section where you reside (if the leadership chooses to use this method). Go to www.arrl.org and logon. You will be taken to the Edit Your Profile page. On the first tab Edit Info, verify your Email address is correct. Click the Edit Email Subscriptions tab. Check the News and information from your Division Director and Section Manager box. Another Hamvention has come to a close. My dad (N8ETP) and I were able to make it again. We were joined by my mom (N8GTK) this year too. This was her second Hamvention. She got to experience one at Hara Arena and now one at the Greene County Fairgrounds. Last year my dad and I parked on site at the fairgrounds. We didn’t get stuck but took about 3 car washes to get the mud off. This year we decided to park off-site and were bussed in. I remember being able to fit in the isles and seats last time I was on a school bus – not so much this time. Off-site parking was the better decision. Our site at Young’s Dairy was not nearly as muddy as the fairgrounds parking lot was this year or last. Other off-site locations offer a paved lot if parking in a field is not your thing. On Friday, the busses dropped off and picked up in a remote area away from the main entrance. Farm tractors transported Hamvention goers to the main entrance with hayride trailers. This lasted a day because rain combined with heavy machinery and grassy fields turned it into – you guessed it – a mud wrestling pit. Saturday, the busses dropped us off in one of the parking lots and then we rode golf carts to the main gate. Beats being stuck. Being the second year at the new location, it’s still a work-in-progress. Improvements have been made over last year and there is still more in the pipeline. An addition to the flea market was crushed asphalt and gravel isles. This should have improved conditions in the flea market though I can’t say for sure. We started in the flea market on Friday but about an hour later it started raining buckets and we headed indoors unfortunately not to return. Rearranging the indoor facilities provided a much larger covered eating area. The tent used for outdoor vendors was much nicer. The ground might have gotten wet underneath but I don’t think occupants got the rain coming in through the sides as they did last year. 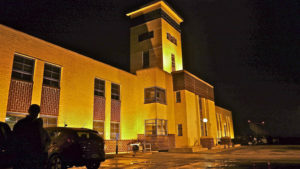 Another building is expected to be constructed for next year. Despite the wet weather, it still seemed like attendance was up. It’s kind of a bummer not being able to walk away with a new purchase at the hamfest. A couple purchases needed to be shipped because vendors didn’t have the room but it’s a good problem to have as Hamvention continues to bring in vendors from around the world. According to the conversations I had, next year will be dry and all the problems will be solved! Don’t hold me to the ‘being dry’ part. For a couple years, one thing I’ve wanted to do while in Dayton was visit the Voice of America (VOA) museum. This year, with the three of us, we made it a point and it was well worth a visit. I believe the first time I ever heard of Voice of America was in a college Telecommunications class. We had an assignment to listen to VOA over an evening and write our thoughts about what we heard in the broadcast. This was in the mid-2000’s and the VOA was available as an online stream. Grated many people have not heard of VOA which is understandable because its target audience isn’t U.S. citizens. The primary intent of VOA was broadcast programming to be consumed by foreign audiences to help influence public opinion abroad regarding the U.S. Propaganda, if you will. My primary operating interests are digital modes and using computers but I have a healthy respect and am very interested in the history of radio. There’s a lot of radio history in our own backyard. Down in West Chester, Ohio are two very famous transmission facilities: WLW and the Voice of America Bethany Relay station. WLW is famous for being the highest power transmitter ever used in the U.S. on broadcast AM radio. Between 1934 and 1939 WLW operated at a power output of 500 kW. The transmitter they operated was serial number 1. In 1938, a congressional resolution was introduced which limited broadcast AM transmission to 50 kW, which is still the current maximum power output. The WLW tower is also rare featuring the unique “Blaw-Knox” diamond shape. Adjacent to the WLW tower is the VOA facility known as the Bethany Relay Station. In 1944, the facility began transmitting American programming on shortwave frequencies primarily into Europe during World War II. They could broadcast into Africa and South America as well. 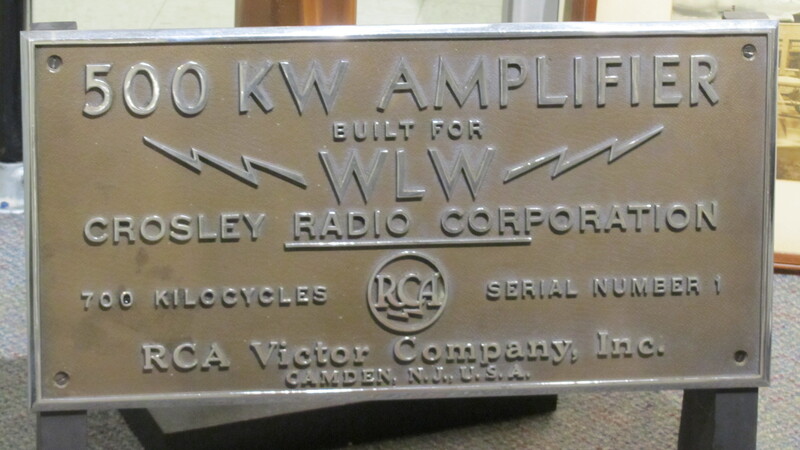 The site had 6 transmitters built by the same company that operated the WLW transmitter, Crosley Radio. Four stations were 200 kW and two were 50 kW. Originally the facility sat on a 625-acre site built inland so it couldn’t be easily attacked like other VOA sites close to the ocean might be. Due to a shift to satellite technology, the station was decommissioned in 1994. Much of the property was turned over to the Metroparks and is now a recreational park. The transmission towers and antennas have all been demolished. The transmission building and antenna switching facility is all that remains which is now home to a museum and ham radio club. The National VOA Museum of Broadcasting and the West Chester Amateur Radio Association, WC8VOA, preserve and care for the Bethany Relay Station. The museum chronicles the history of VOA and how it played key roles in forming public opinion of the U.S. during wartime. It featured a fitting tribute to the last known surviving engineer for WLW and VOA, Clyde Haehnle, who passed away last month. 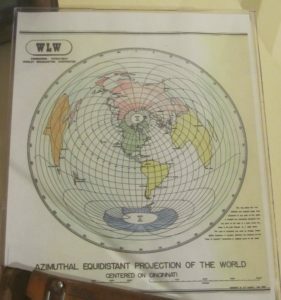 An azimuthal projection map, which Clyde drew, is featured in many places. This map shows the distance and angle from Cincinnati to any point on the globe which was used to direct VOA antennas to any part of the world. Another room features the history of the Crosley Broadcasting Corporation with tubes on display used in the WLW 500 kW transmitter and types of radios consumers would have used in their homes. A radio timeline shows the history of radio from the spark gap to the iPad. Opposite those displays are the broadcaster’s museum which featured a couple pieces of history from the Cleveland area, which I was surprised to see. Of the old VOA facility, there is still a shortwave transmitter on display complete with control panel, the newer of the two control rooms where operators could select programming broadcast over each transmitter, and the antenna switching matrix. 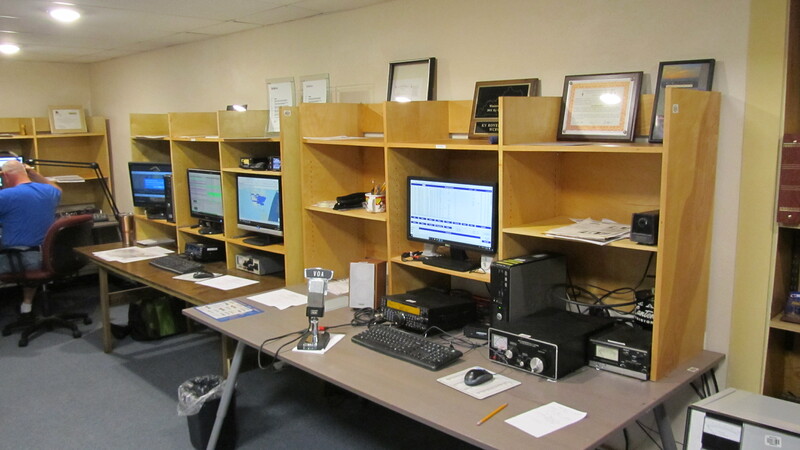 If all that isn’t enough, you can operate the WC8VOA club station in the old control room of the VOA. We could have easily spent a half-day there because there was so much to look at, watch, and listen. This was an amazing facility with a lot of history between WLW and VOA. The VOA Museum of Broadcasting and West Chester Amateur Radio Association where such gracious hosts. They were around to answer questions and pass along the history of this station. If you’re in the area or if not, make plans for Hamvention next year to spend [more than] a couple hours at the VOA facility. It’s open every Saturday and Sunday 1 – 4pm with extended hours during Hamvention.